This is an Urgent job opening for Pharmacist Trainee Job in Mumbai. All interested & eligible candidates can apply now by reading all below Job details about this Pharmacist Job. 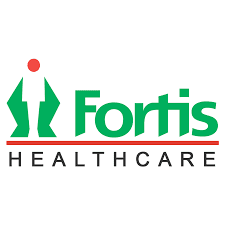 About Company: Fortis Healthcare Limited is committed to clinical excellence and patient-centric healthcare, which is manifest in hospital design, patient services, medical programs and the compassionate approach of medical and non-medical hospital staff. Fortis commissioned its first hospital in 2001 at Mohali, near Chandigarh, and has expanded its operations to become a network with an over 10,000 bed capacity across 68 hospitals. All interested & eligible candidates must read below Job details in order to apply at Fortis Healthcare. Qualification: PUC or Intermediate or Bachelors Degree. Key Skills: pharmacist, hospital pharmacist, clinic pharmacist. To Assist the pharmacist, under direct supervision, in the practice of pharmacy, in accordance with state, and company regulations. To manage the proper storage and security condition of drugs. To receive the drugs from the main pharmacy. To assist in inventory and stock verification. To Help patients who are dropping off or picking up prescription orders. At the point of sale, verify that the customer receives a correct prescription. Screen telephone calls for the pharmacist. How to Apply For Trainee Pharmacist Job? Candidates can apply by visiting the official website of Fortis Healthcare Ltd. or Apply from Here. To apply at Fortis Healthcare for Trainee Pharmacist Job, you must remember the last date to apply on 30th September 2017. For more Pharmacist Job opportunities, you can subscribe below your email id and share with your friends. Also, Get instant updates like us on Facebook Dailybestjobs & join our Facebook group. Keep visiting our website!